Last year, I did a one time November Favourites. 2015 is a new year and I wanted to do something with this favourites thing. Besides, who doesn’t want to be reminded of five amazing recipes! Are you guys ready for my 5 January Favourites? Jessica from What Jessica Baked Next made this awesome Oreo Chocolate Tart! It looks incredible! 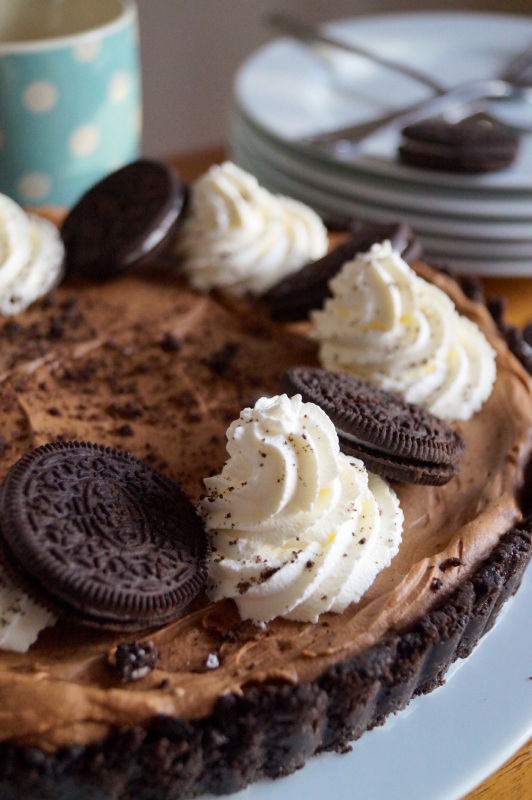 Who doesn’t LOVE chocolate AND oreo’s! I feel in heaven already, just by thinking about this tart. It’s so fluffy pretty I’m gonna die!!!!!! Oh boy, such a beautiful cake. Really, this is definitely one of the most gorgeous cakes I’ve seen in January! Dini from Giramuk’s Kitchen made this little piece of magic and I think she can be very proud of her creation! Of course! 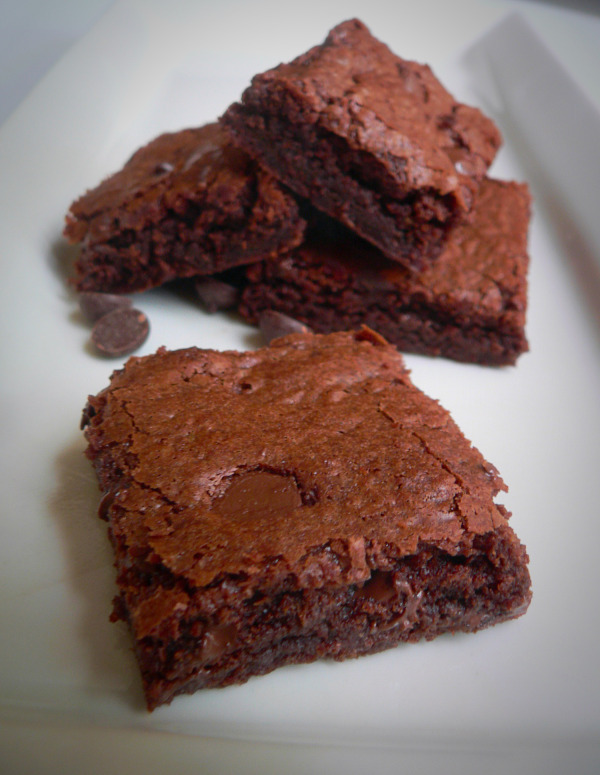 I HAD to add the original recipe from my drop-dead-delicious Nutella Brownies on my list of faves! Alyce from The Culinary Mama made these and they are so good! I forecast her little son is going to love these when he’s a bit older! And chances are he’s going to get so addicted to Nutella, he’s going to eat the whole jar before mammie can make those delicious little things. 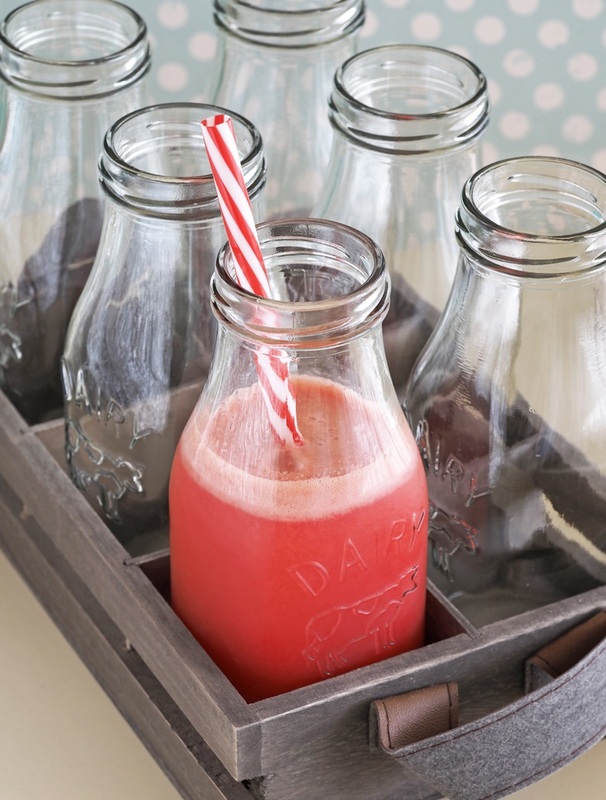 This pretty in pink lemonade belongs to Claudia, our Breakfast Drama Queen! And I love the looks of her Raspberry Lemonade too! That colour, the ingredients, … It must be good! I don’t think our sweet & lovely Jhuls from The Not So Creative Cook needs an introduction, does she? Jhuls is so sweet, so lovely and so creative! Yes, Jhuls, you heard me! 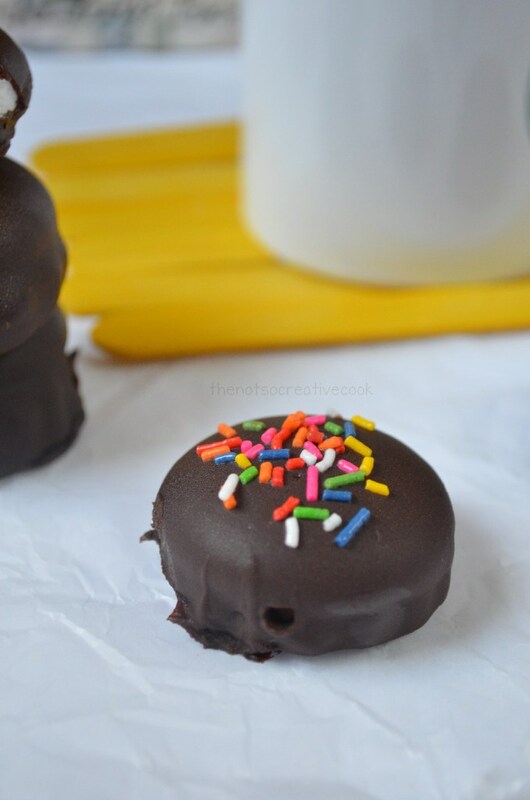 Take a look at these lovely Chocolate Covered Marshmallow Cookies. Don’t they look amazing? 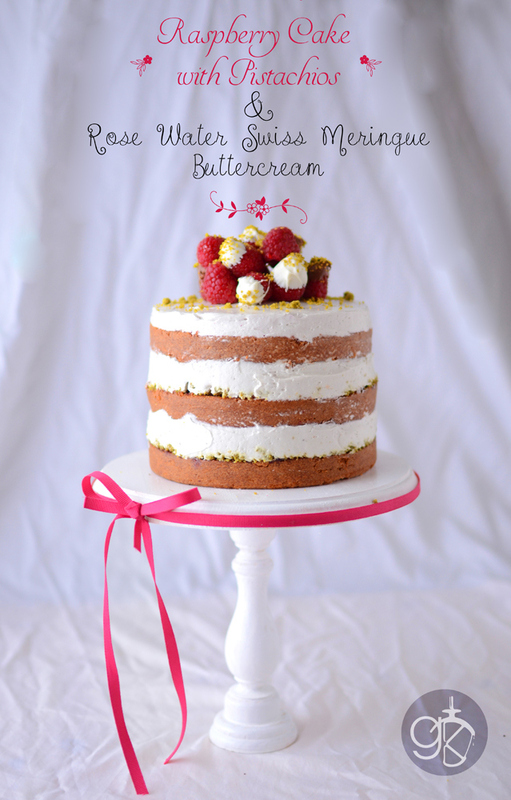 Thank you for featuring my Cake Sarah! 😀 I am loving all of this…I need to make myself that Oreo tart! Yeah, I need to make that one too, soon! I don’t think I could decide on any one dessert, they are all so delicious and beautiful! !